This pen has grown on me over the 15 months I have had it - I now really like the whisky brown cracked ice pattern. 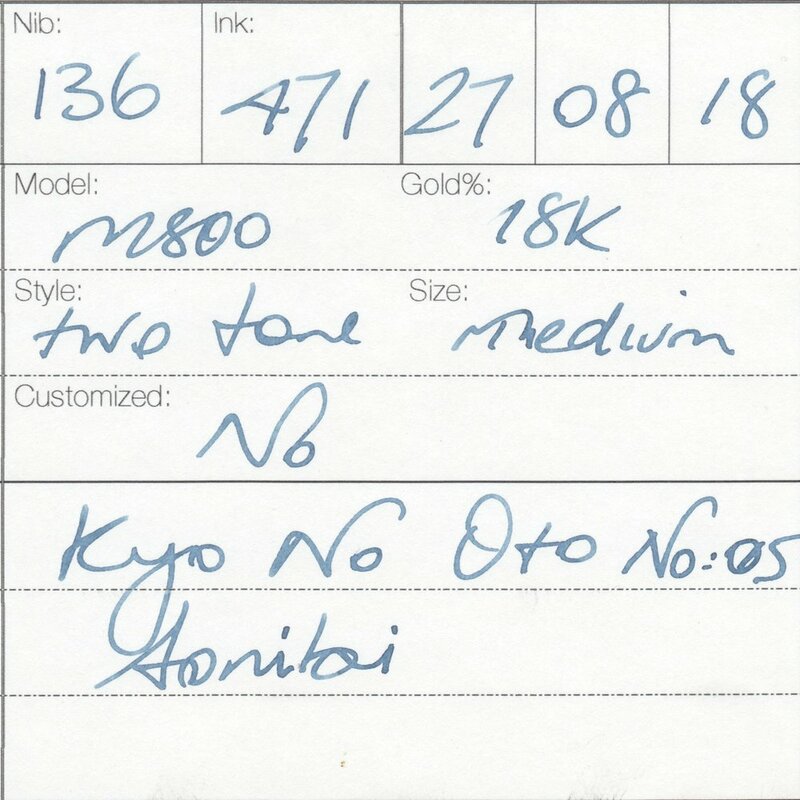 This nib arrived in my collection in M800 Royal Gold Raden - it is a slightly uninspiring medium that I feel writes a bit drier than some of my other nibs. I should get it adjusted at some stage. 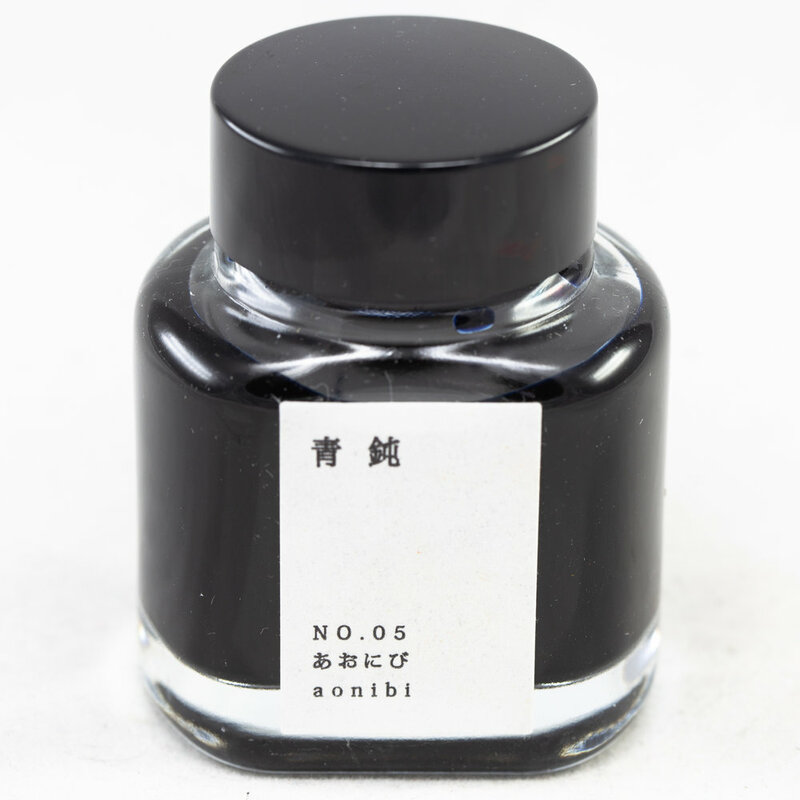 The second of Kyo No Oto inks the enter rotation. I will probably get the other five colours available at some stage soon. I don't know if it is the nib or the ink or both but I am underwhelmed by this ink's colour. It is a pretty standard blue-black. 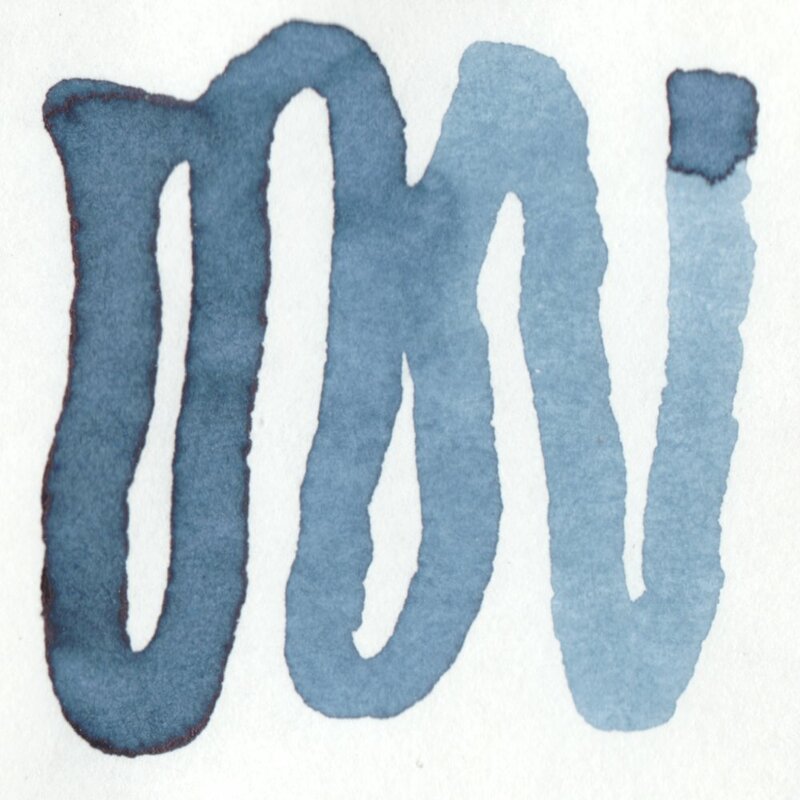 These inks are supposed to made with traditional dyes so I am possibly wanting more than a nice watercolour look.